Jennet loves the oboe. She has built an active career around performing, teaching, making reeds for and writing about it. Ever since her first appearance with the Rochester Philharmonic Orchestra in high school, she has been addicted to concerto performances. In March 2007, she performed the world premiere of Doug Lofstrom’s Oboe Concertino, a work commissioned for her by the New Philharmonic Orchestra and the College of DuPage. Another recent favorite was Qigang Chen’s spectacular “Extase,” a Chinese/French work involving significant technical challenges, which she presented with the South Bend Symphony in 2011. Like many 21st century musicians, Jennet’s career is cobbled together from numerous sources. She has been Principal Oboist of the South Bend Symphony Orchestra since 2006, and serves as Instructor of Oboe at Valparaiso University. With the South Bend Symphony Wind Quintet she does frequent concerts and educational presentations throughout the community. 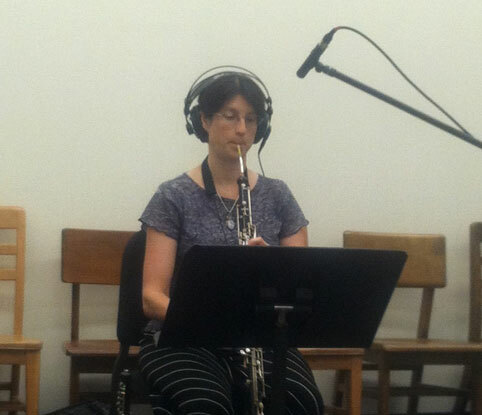 She also performs as Principal Oboe with the Northwest Indiana Symphony Orchestra, and has a fleet of private students. Jennet’s passion for performance and outreach led her in 2013 to create Musicians for Michiana, a chamber music series dedicated to connecting musicians and audiences with local non-profit organizations to the benefit of all. Jennet is a graduate of the Eastman School of Music, where she studied with Richard Killmer. She can be found on the web at www.jennetingle.com.